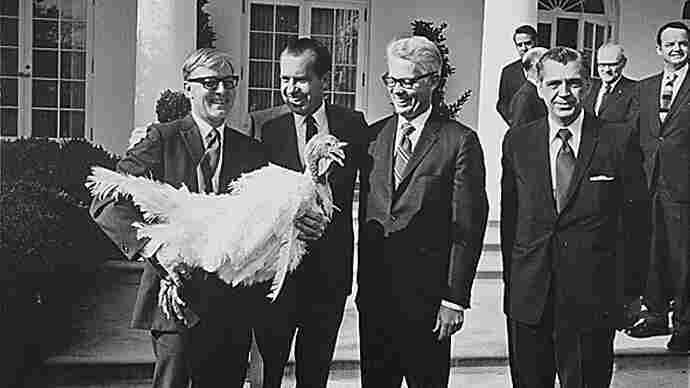 'Don Giovanni' To 'Nixon In China': Holiday Feasts In Opera As you prepare to feast upon cranberry sauce, pumpkin pie and your choice of entree this Thanksgiving, there's also an operatic feast to be had. Classical commentator Miles Hoffman joins NPR's Renee Montagne to take us through a five-course meal. 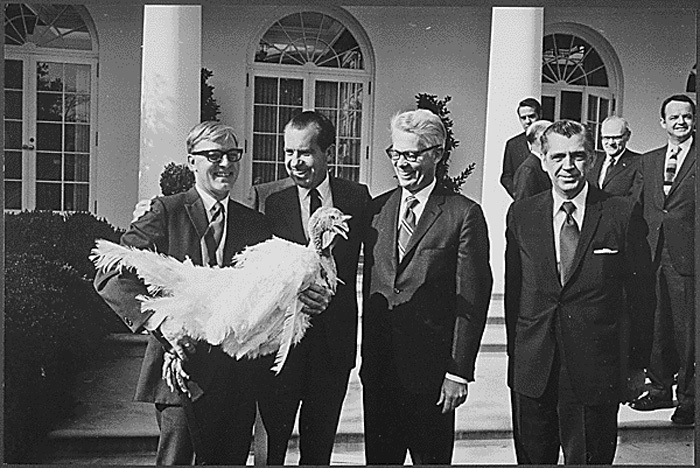 President Nixon pardons a turkey in 1969. There's quite a celebratory banquet scene in the John Adams opera, Nixon in China. As you prepare to feast upon cranberry sauce, pumpkin pie and your choice of entree this Thanksgiving, there's also an operatic feast to be had. Classical commentator Miles Hoffman joins NPR's Renee Montagne to take us through a five-course musical meal, from the insatiable hunger of a starving trio during "Musetta's Waltz" in Puccini's La Bohème to the fiery dinner scene in Mozart's Don Giovanni to the joyous state banquet heard in John Adams' Nixon in China.